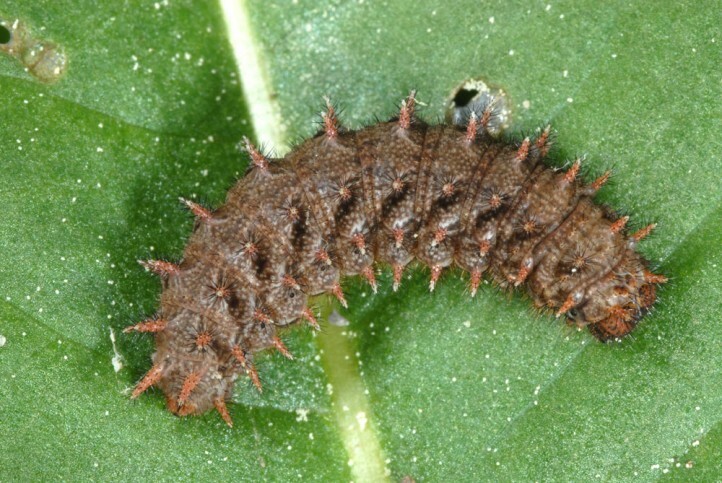 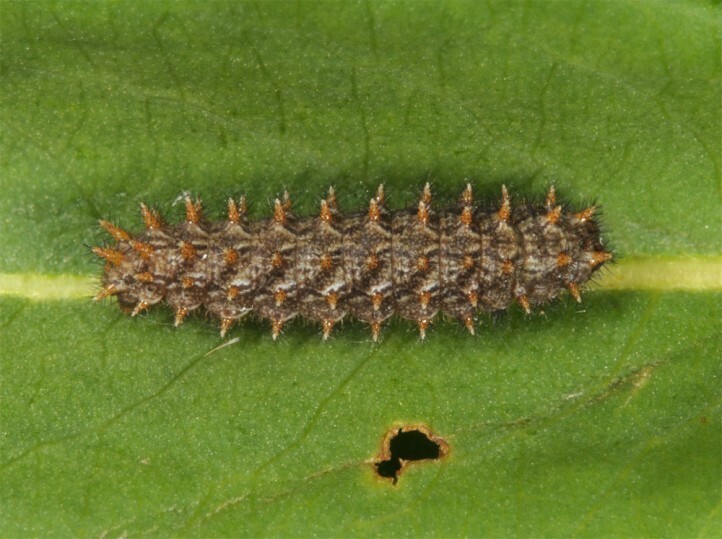 The larvae feed on Polygonum (Persicaria) bistorta, more rarely also on Polygonum viviparum (e.g. 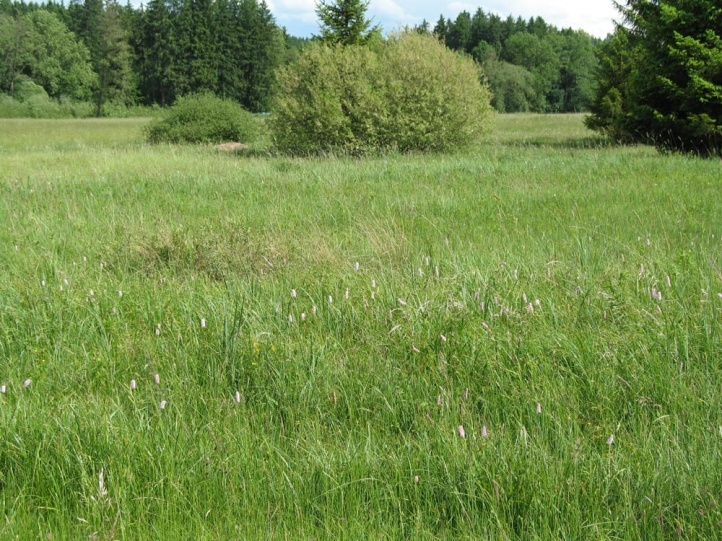 valleys of the northern Alps, Scandinavia). 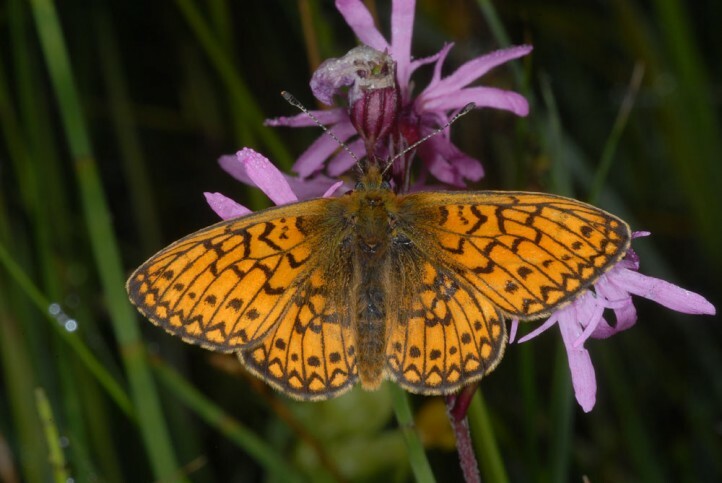 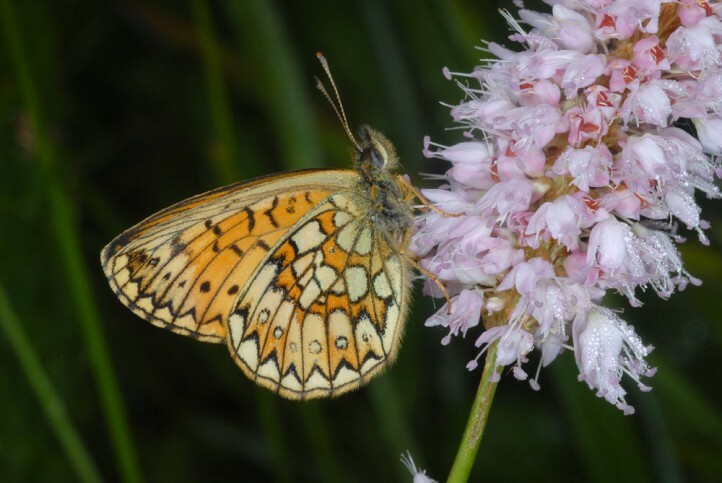 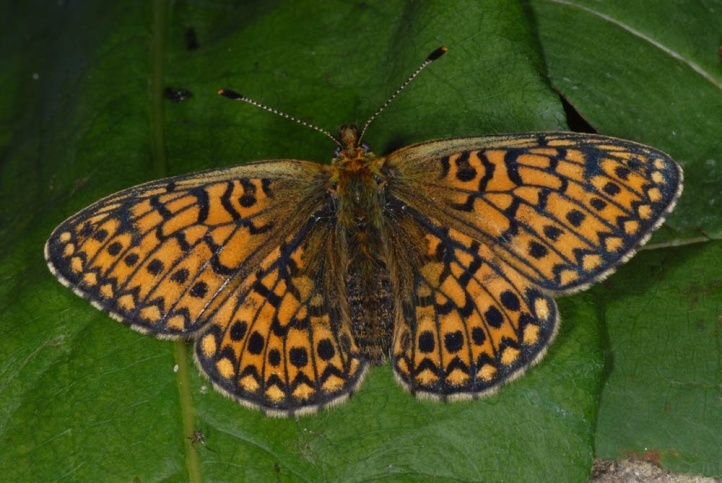 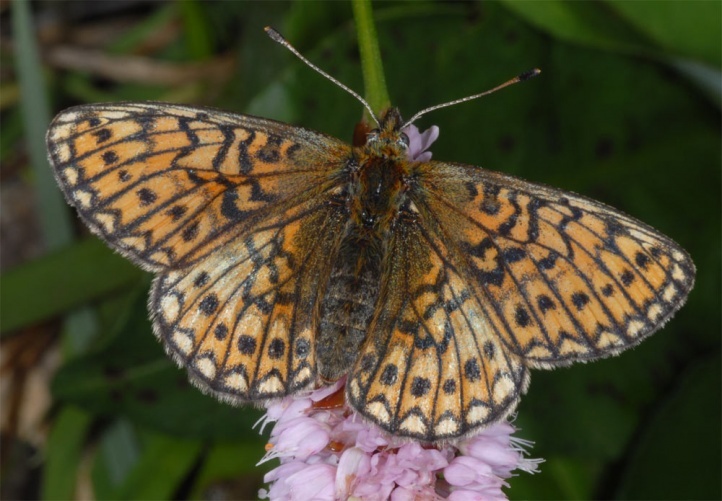 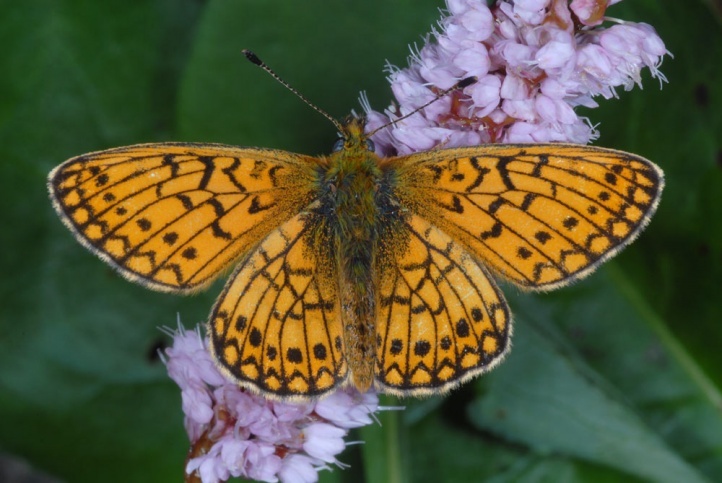 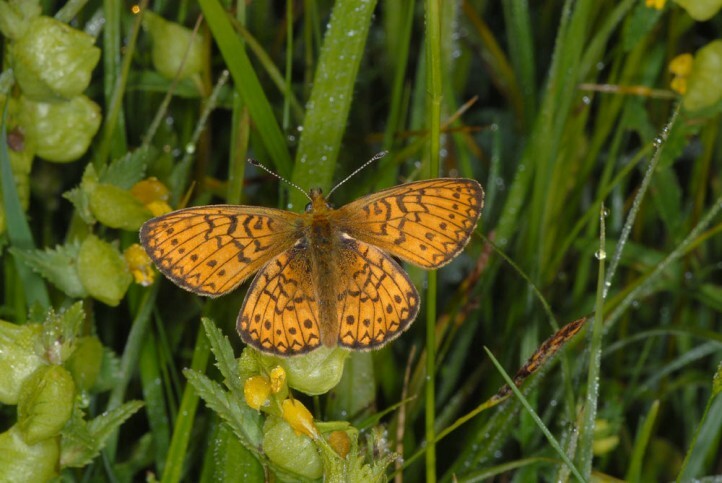 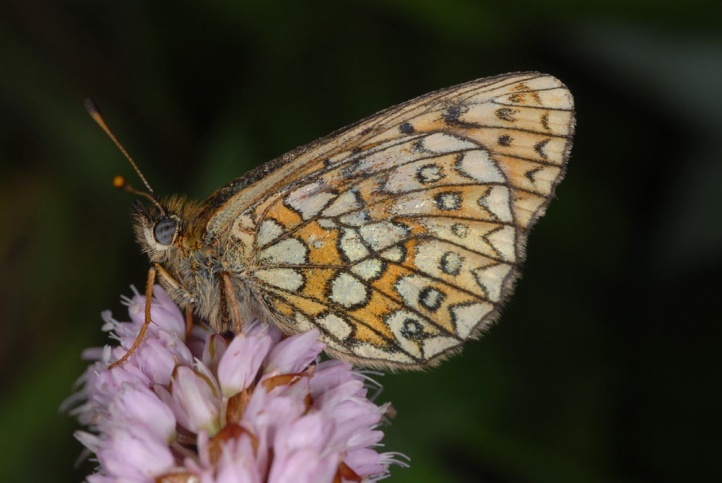 As a so-called glacial relict Boloria eunomia occurs in wet meadows around moors, in fens, sedge dominated wet grasslands and similar cool-wet sites. 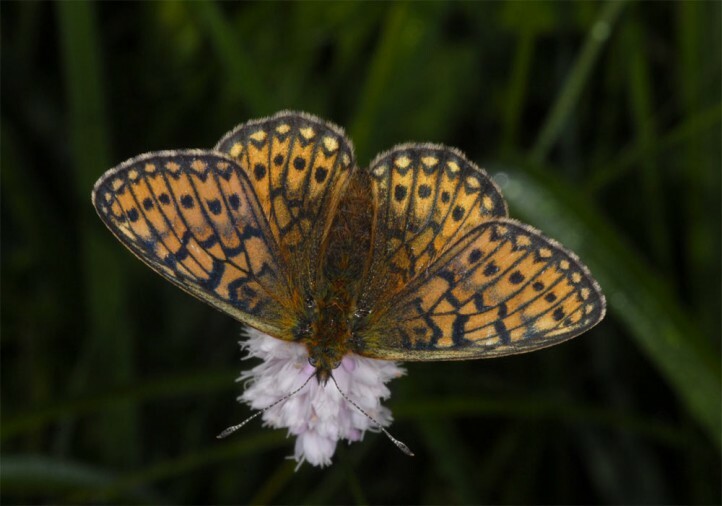 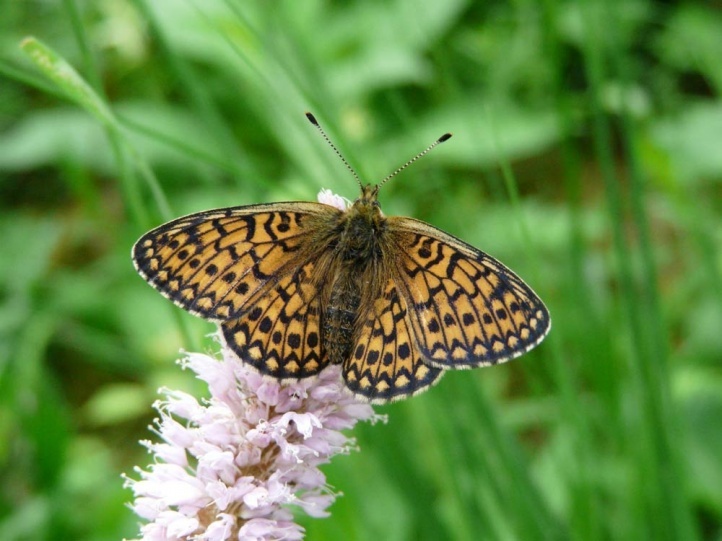 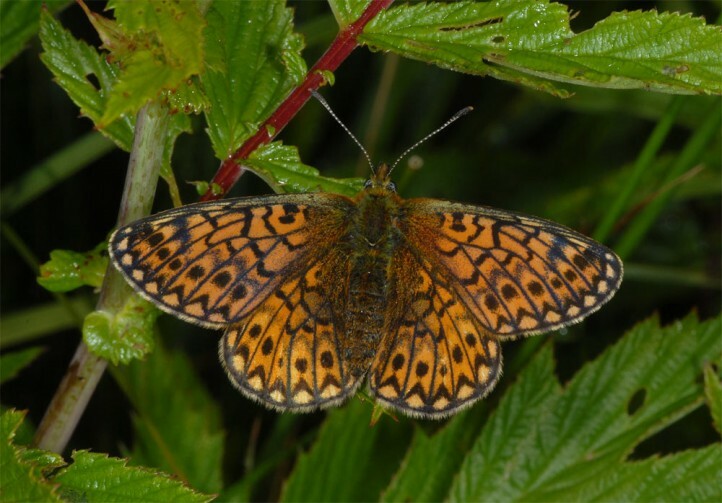 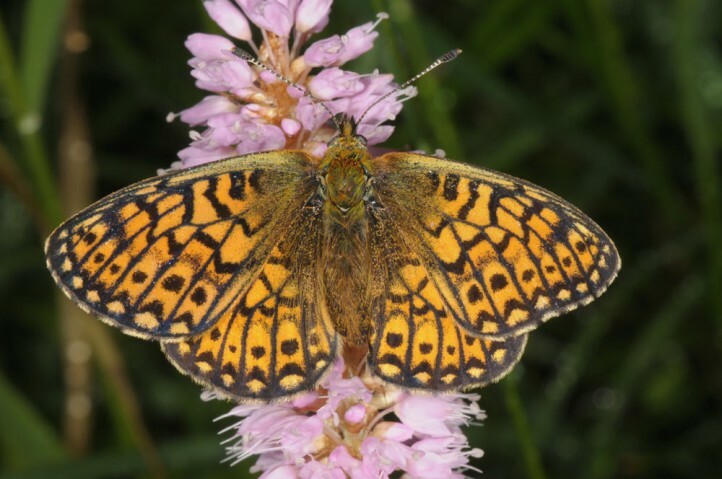 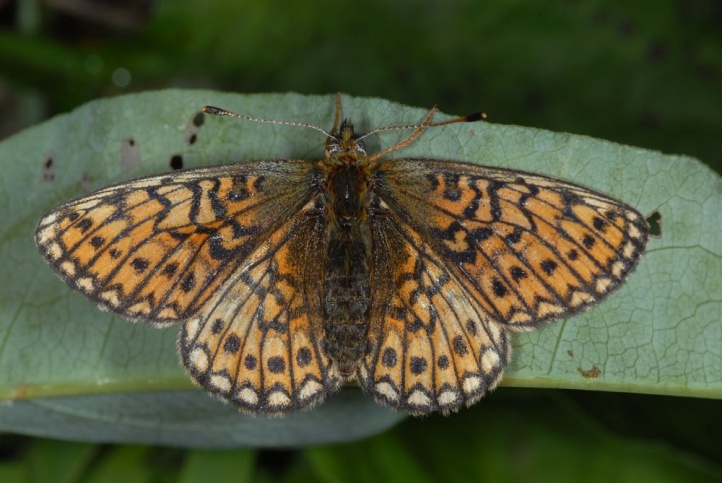 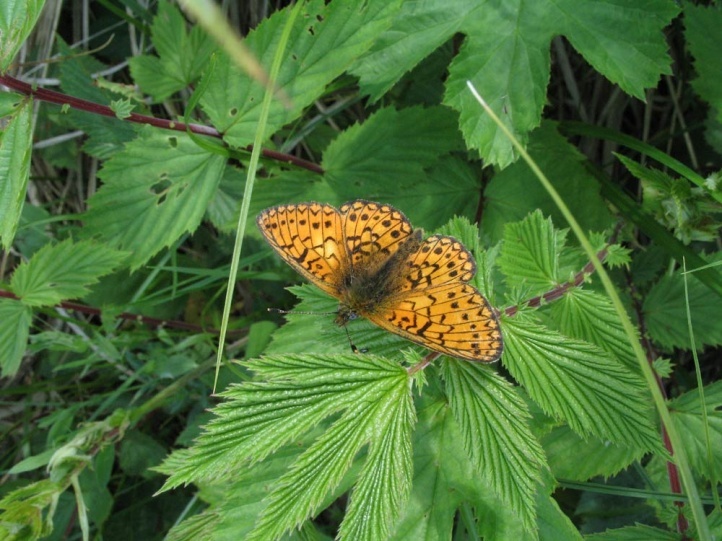 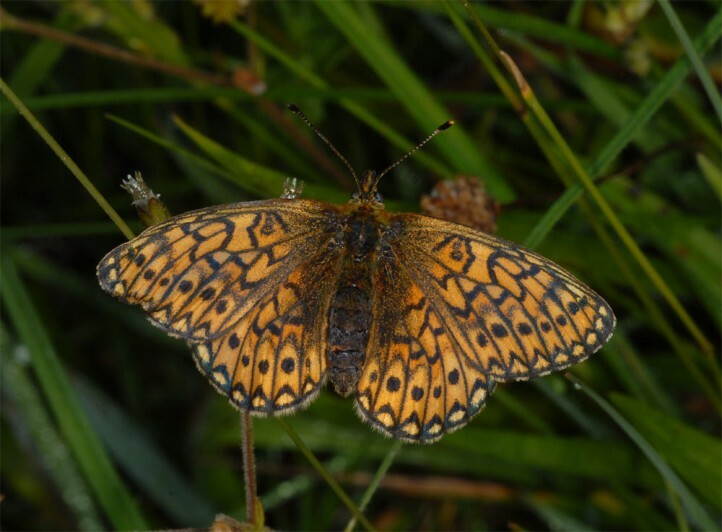 The butterfly is still relatively widespread for example in litter-rich fens in the foreland of the Bavarian Alps. 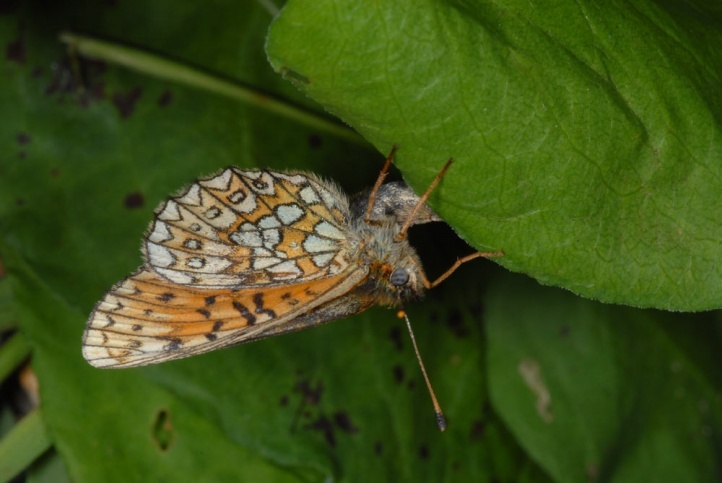 Boloria eunomia can also survive in small sites, as long as they are intact. 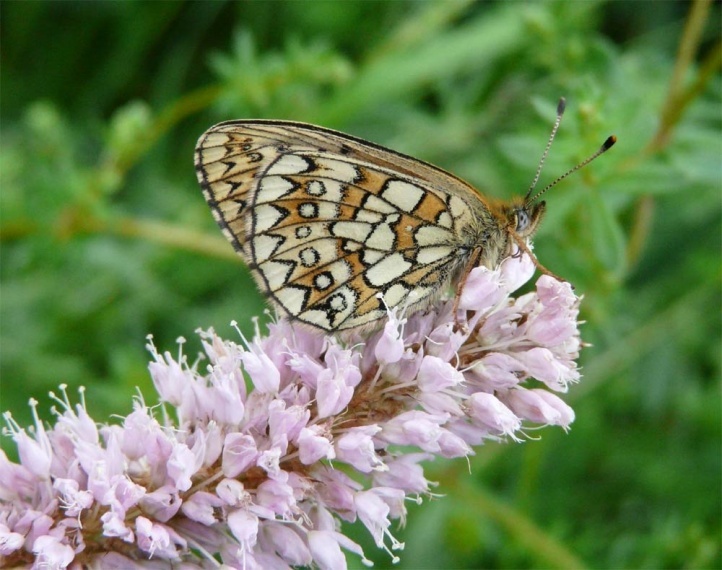 I know a mere 500 m2 area near Memmingen in Southern Germany where Boloria eunomia occurs together with Zygaena trifolii. 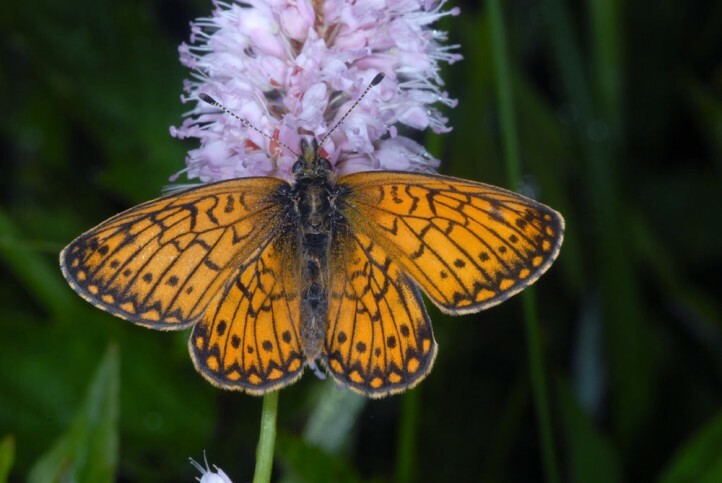 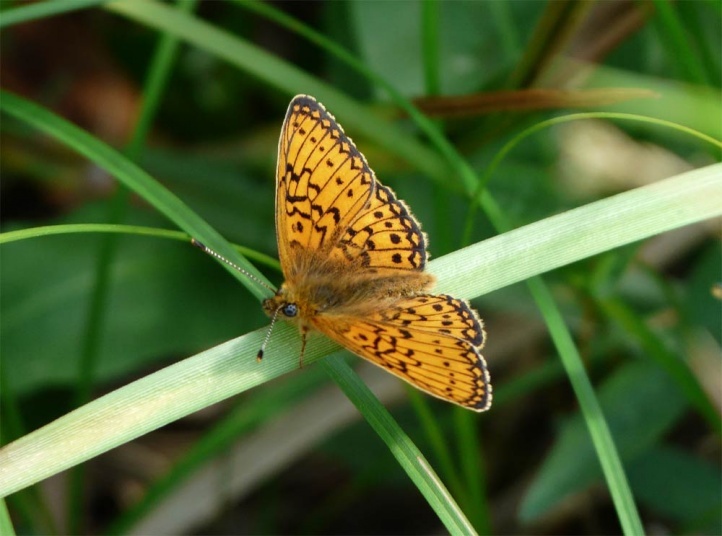 But generally those very small habitats should be netted with others in order to allow a long-term survival of Boloria eunomia in a meta population. 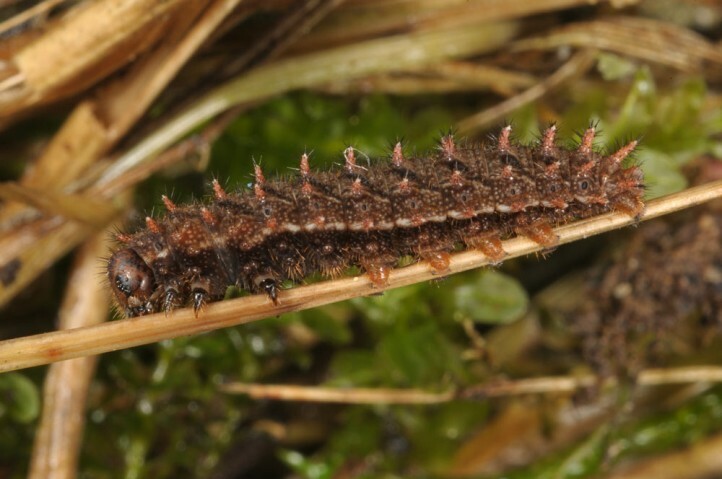 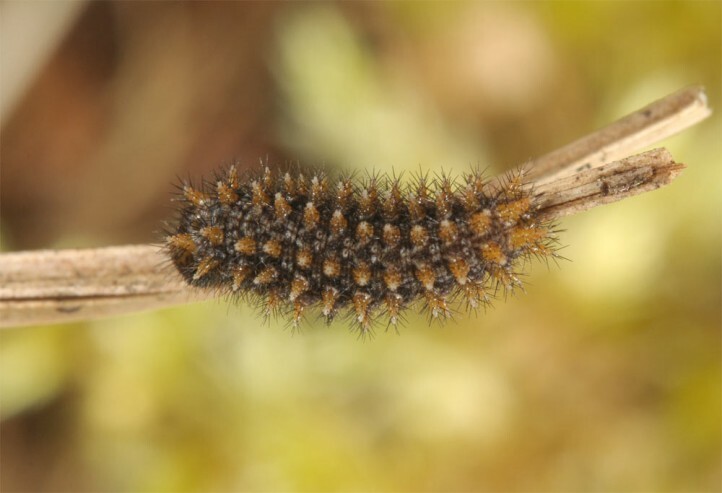 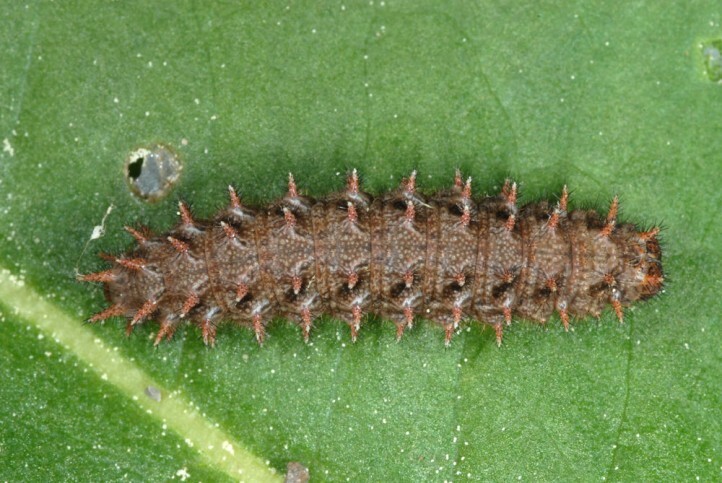 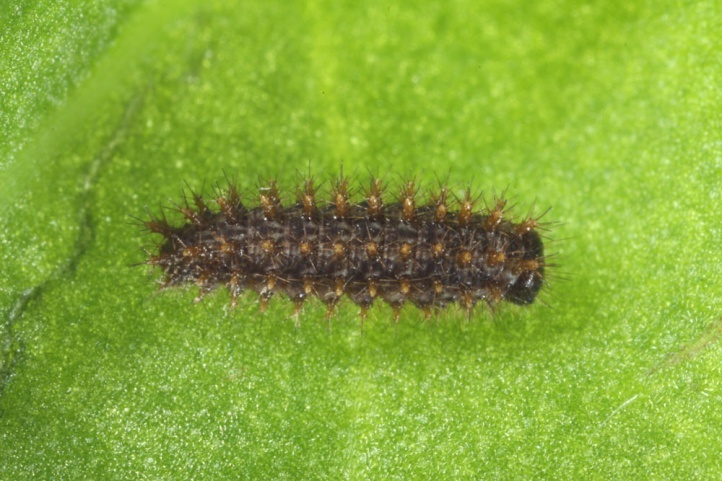 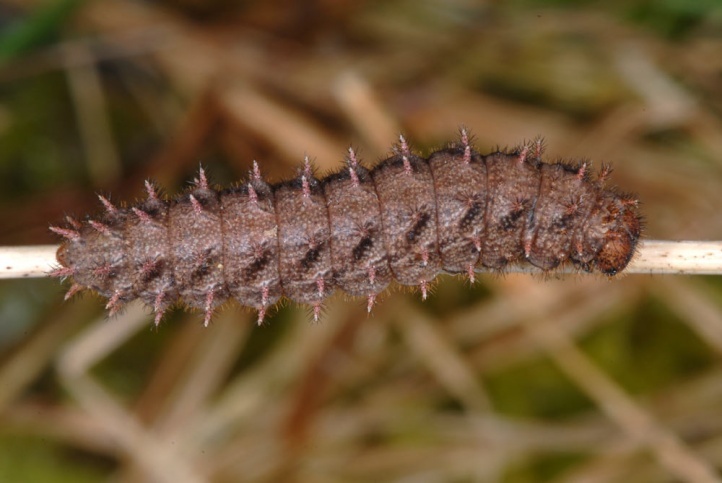 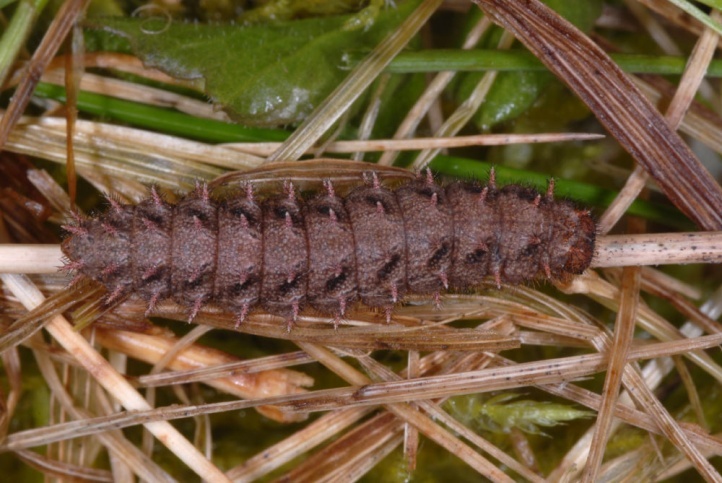 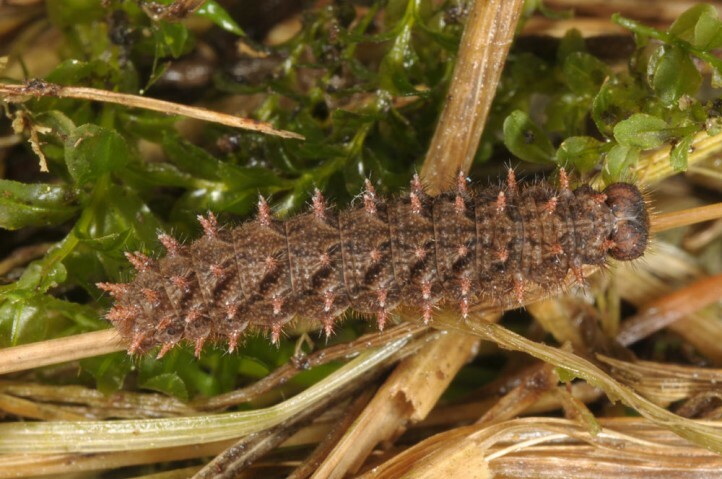 The caterpillar overwinters apparently twice and is then mature in the end of April or in May. 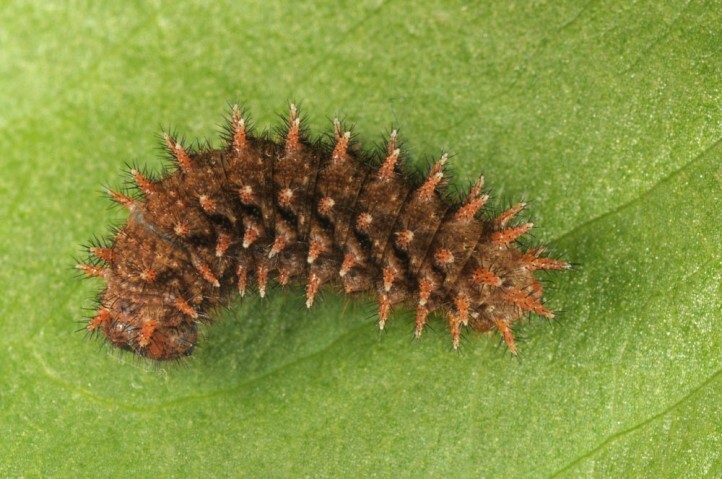 According to recent research the twice hibernation should occur in the majority of caterpillars. 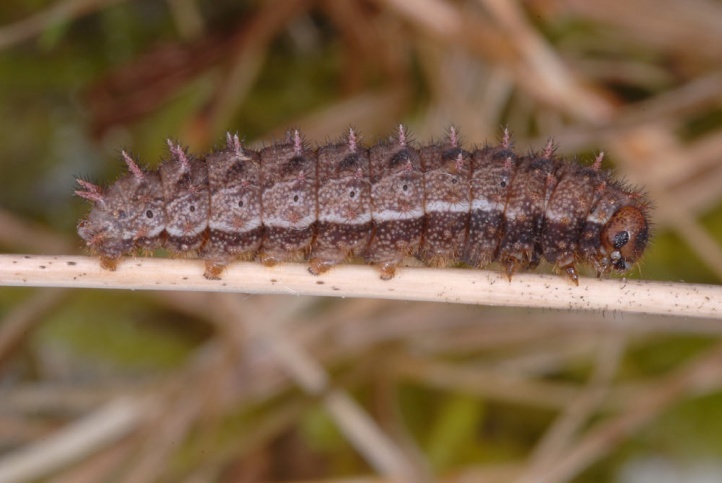 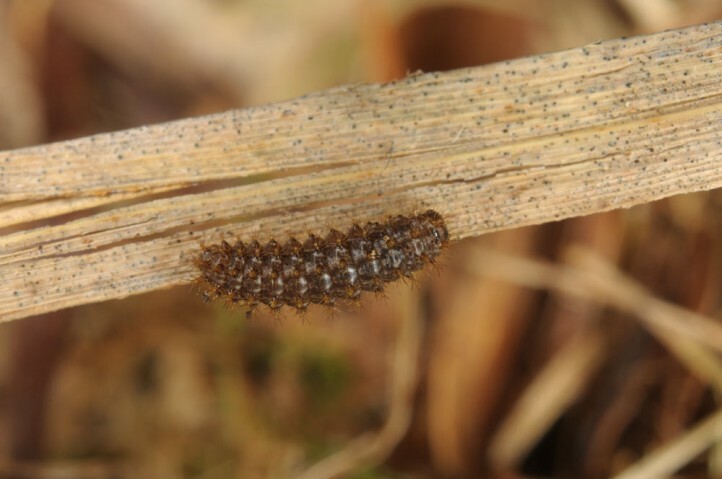 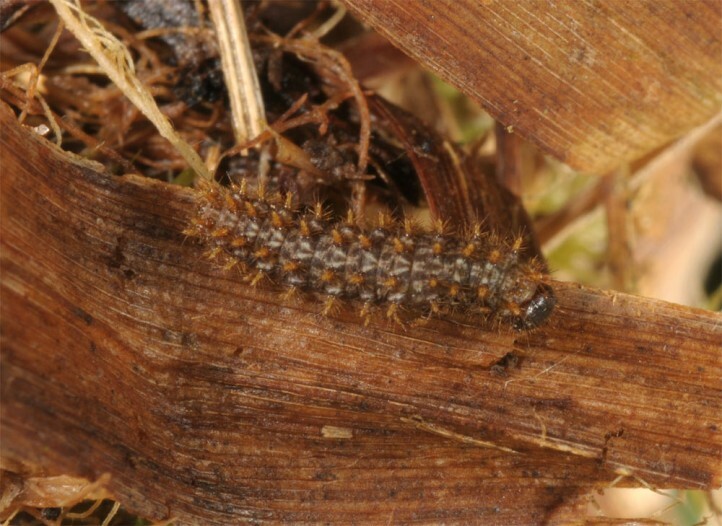 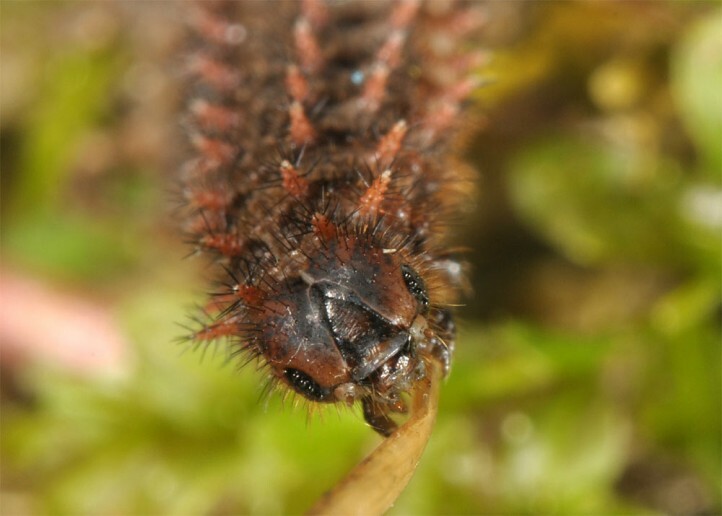 But own observations of larvae in April 2013 more confirm a single year life cycle. 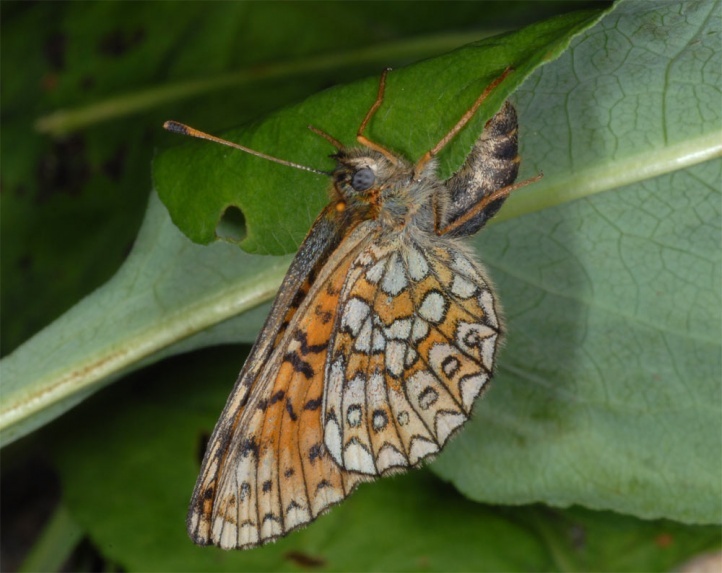 Probably Boloria eunomia has a fractionized development with facultative second hibernation. 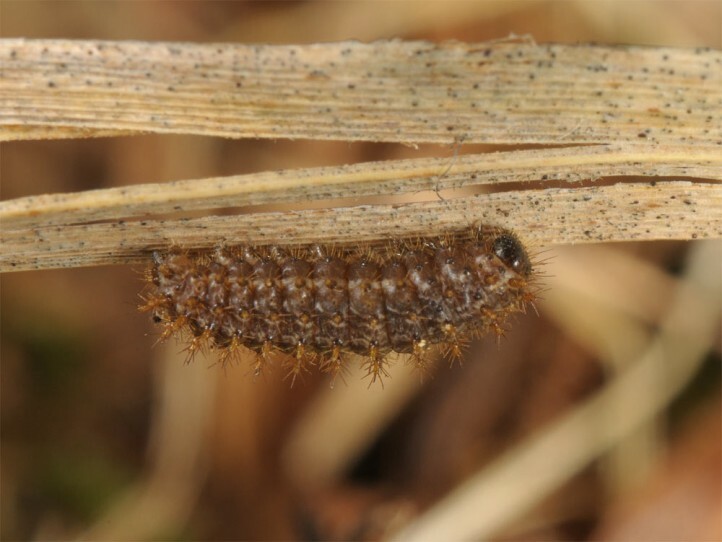 The proportion of larvae with this second hibernation may vary according to site and season. 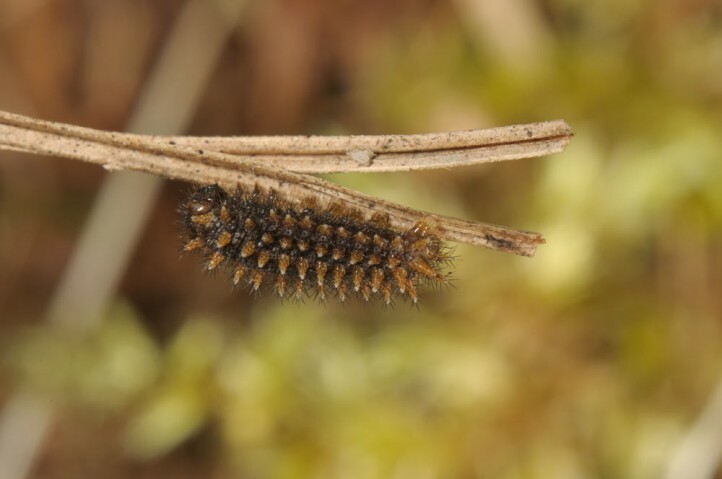 I found caterpillars sporadically in April and May, especially during rainy weather. 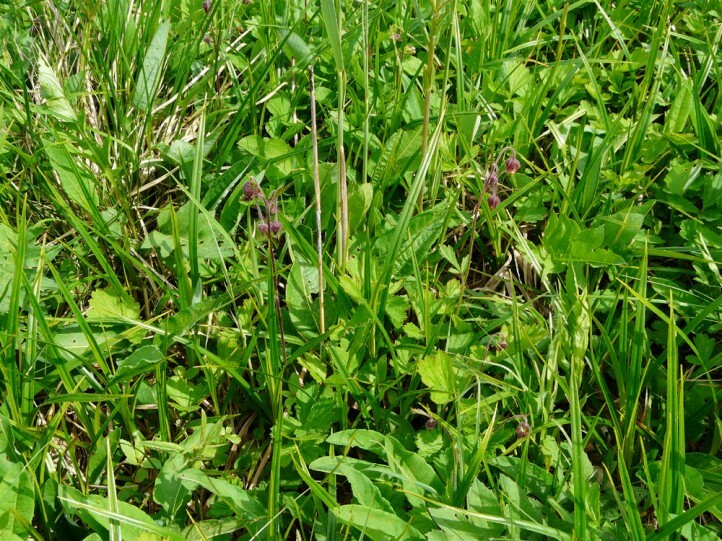 The animals rest in the feeding breaks well concealed in the litter layer. 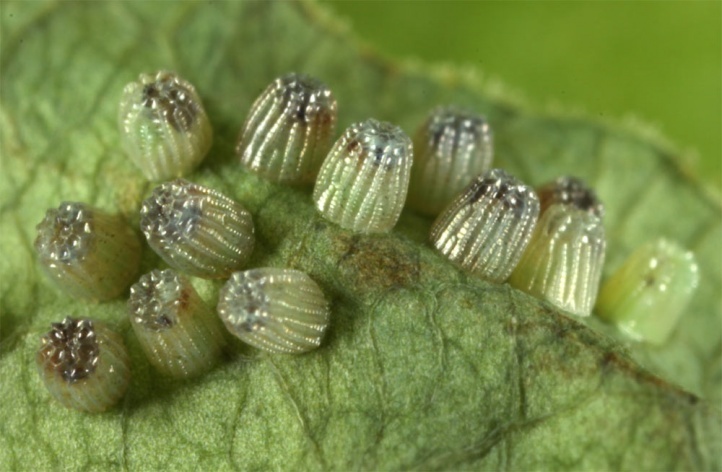 They are only occasionally active in the sun. 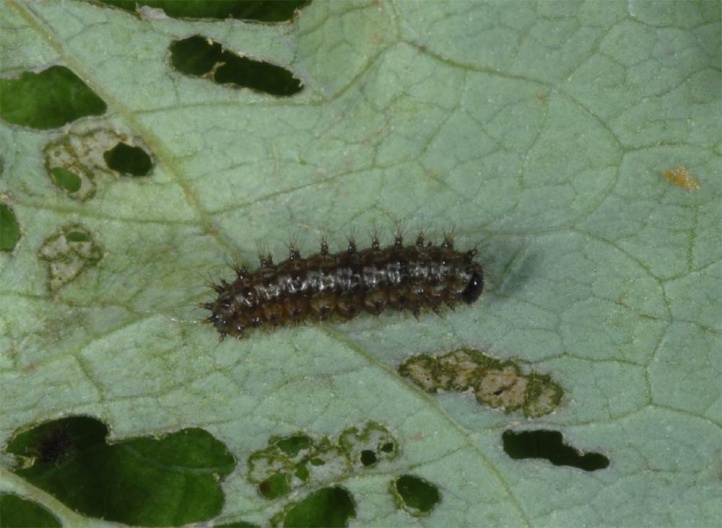 In late April 2013 I observed 4 young larvae near Memmingen sunbathing in the litter around Polygonum-leaves with feeding traces. 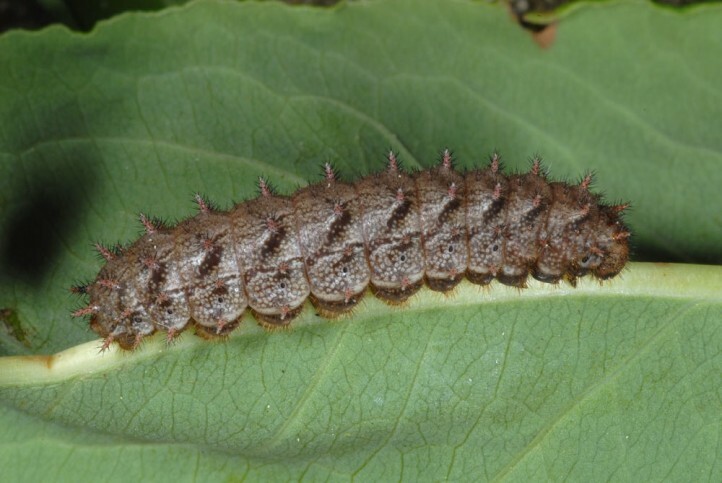 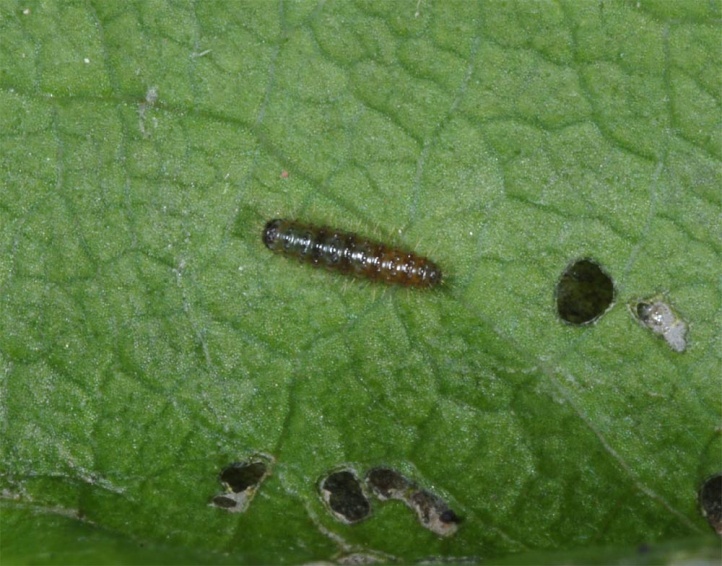 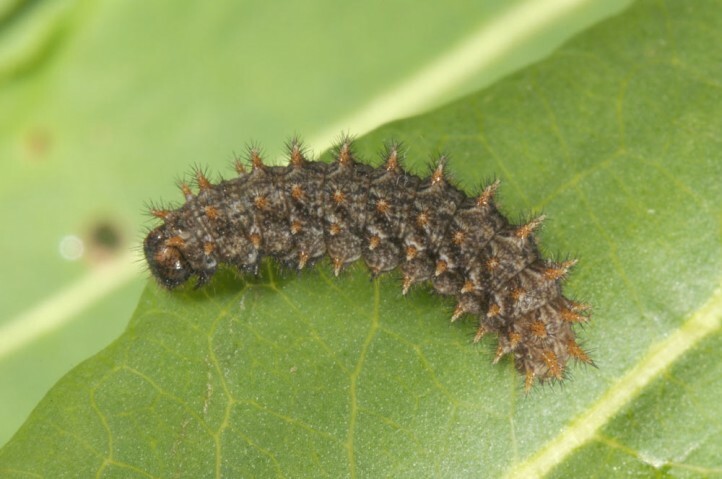 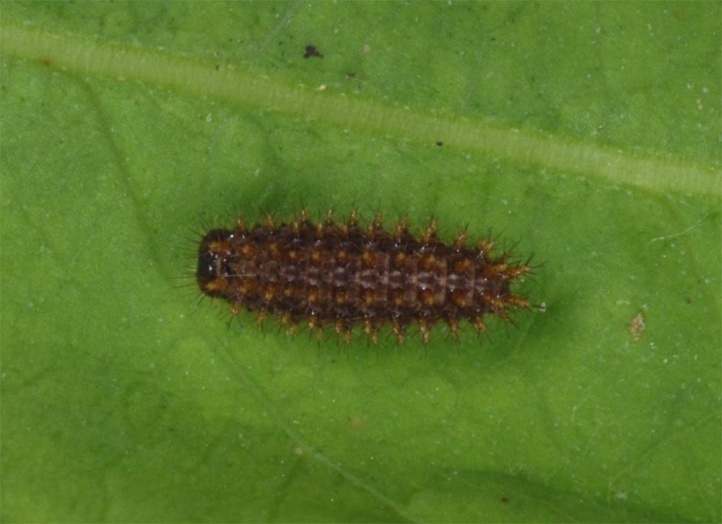 Three of them were in the thirdlast instar in which they had hibernated (cold spring 2013 in S-Germany), the other larva in the beginning of the penultimate instar. 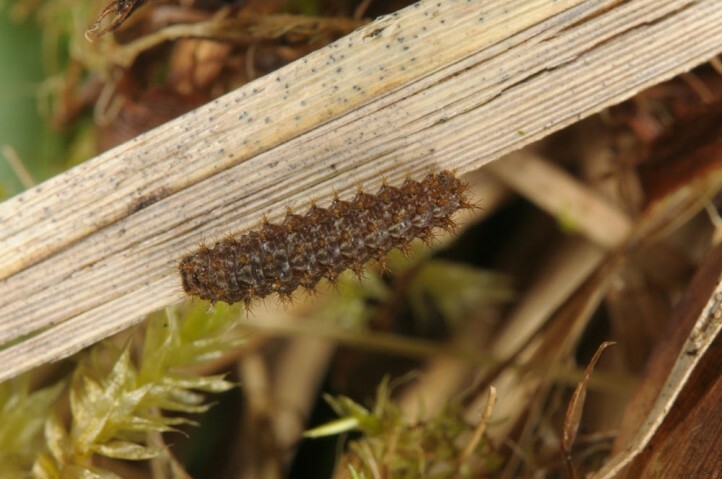 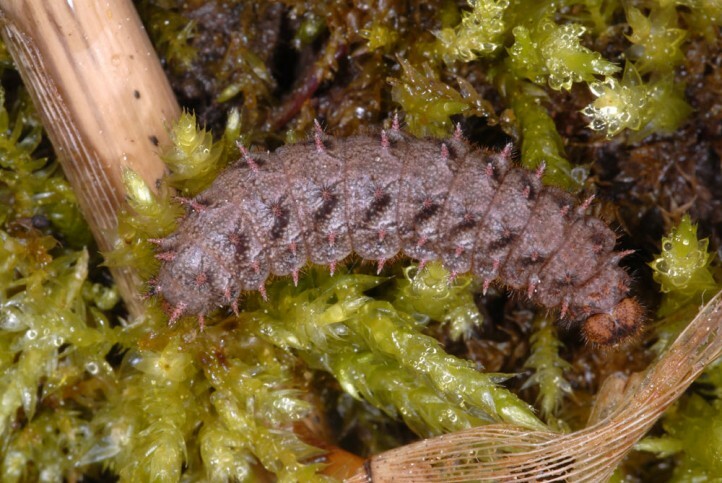 In late May 2013 I found two mature larvae at another nearby site (river Iller near Oberbinnwang) resting well concealed in the moss layer. 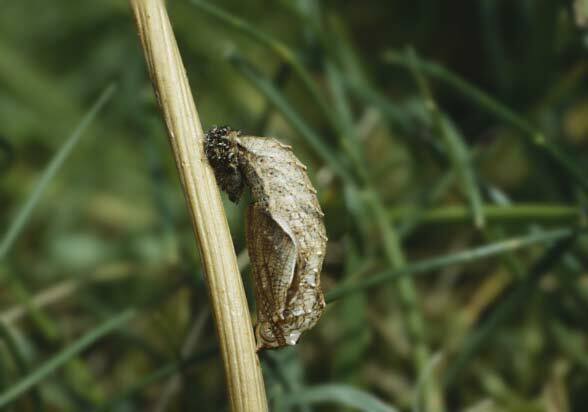 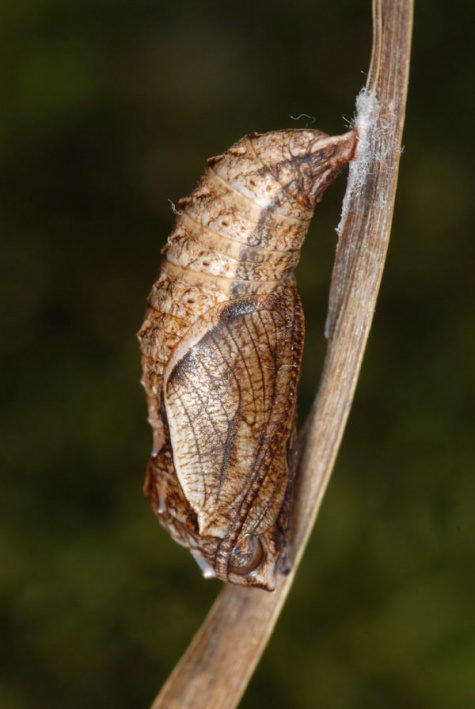 Prepupae could be occasionally found hanging in the tangle of dry, last years blades near the ground. 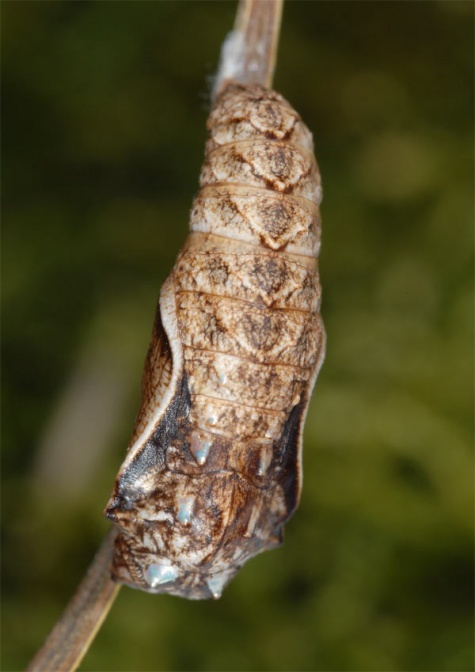 The very proterandrical species (males appear much earlier than females) flies from late May (males only) to early July (only females) with weather-related fluctuations between the years. 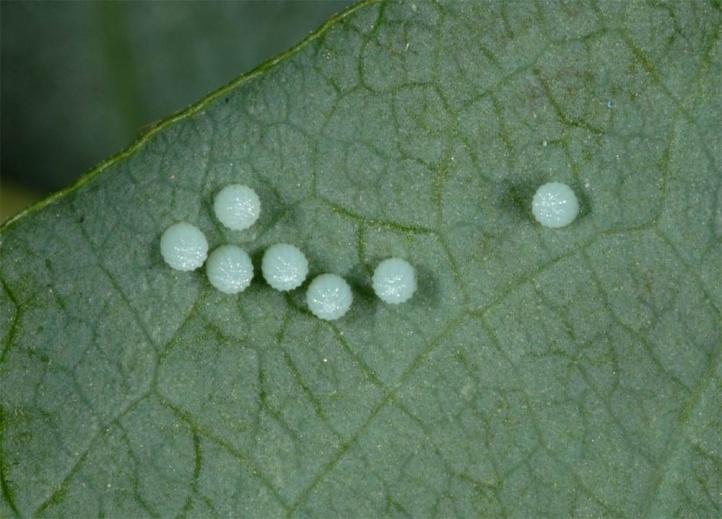 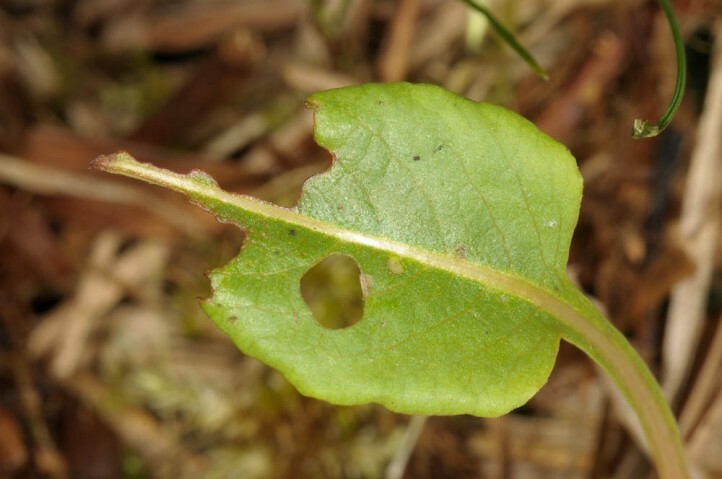 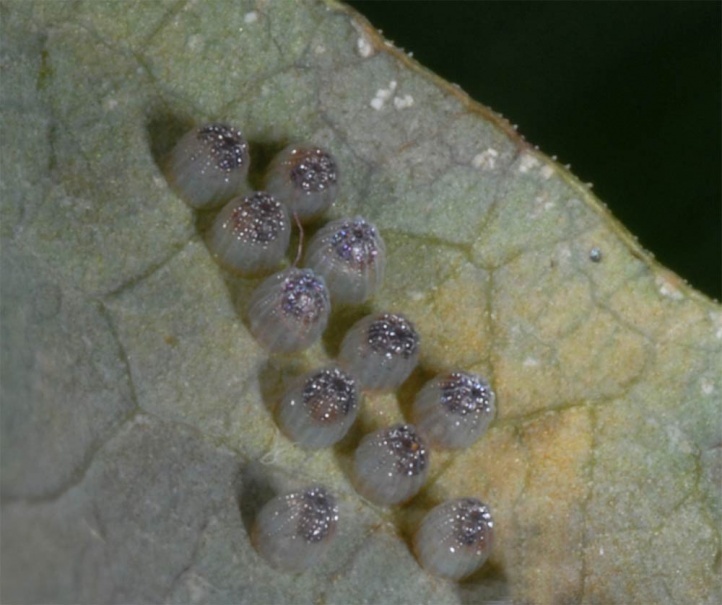 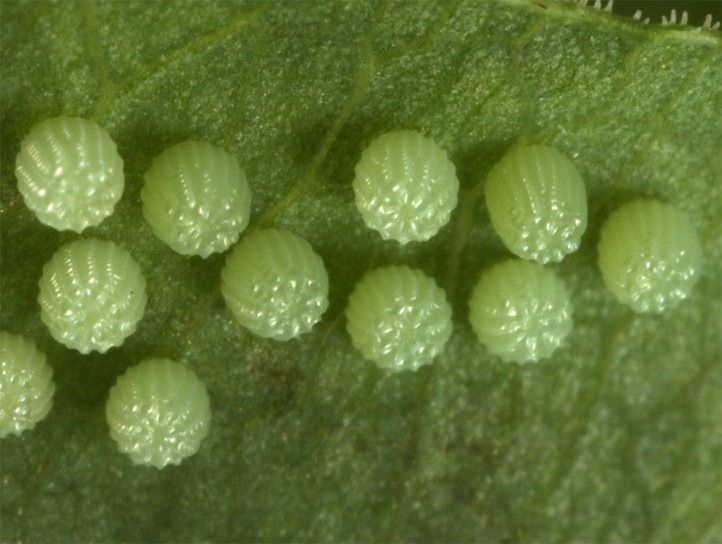 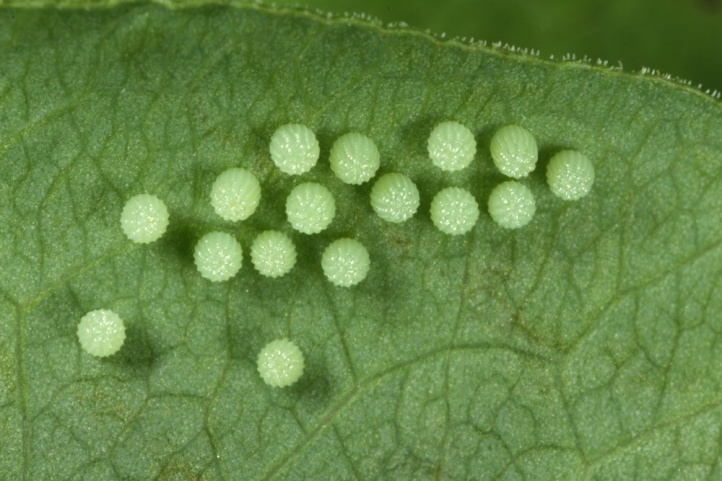 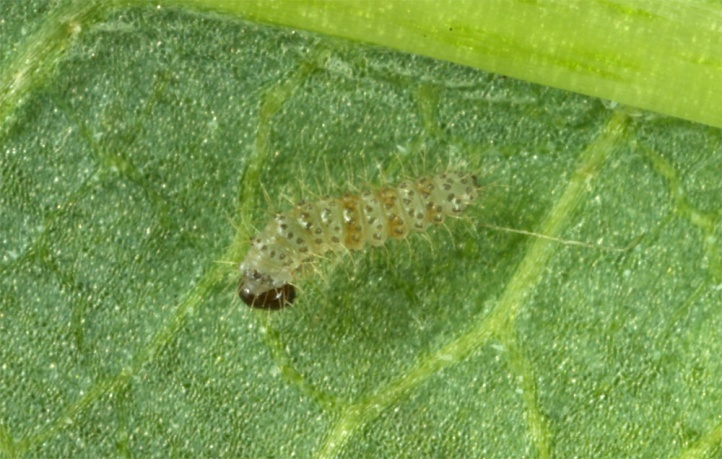 Eggs are laid in small groups of 1 to 10 on the lower leaf surface of older, larger and partly holey leaves where the eggs are easy to find. 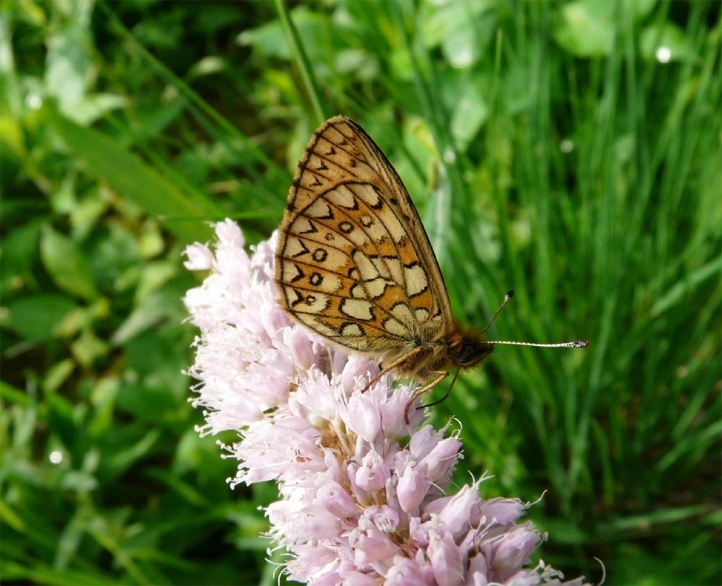 The adults feed to a high percentage on the flowers of Polygonum bistorta, especially in the end of the flight time also on Knautia arvensis. 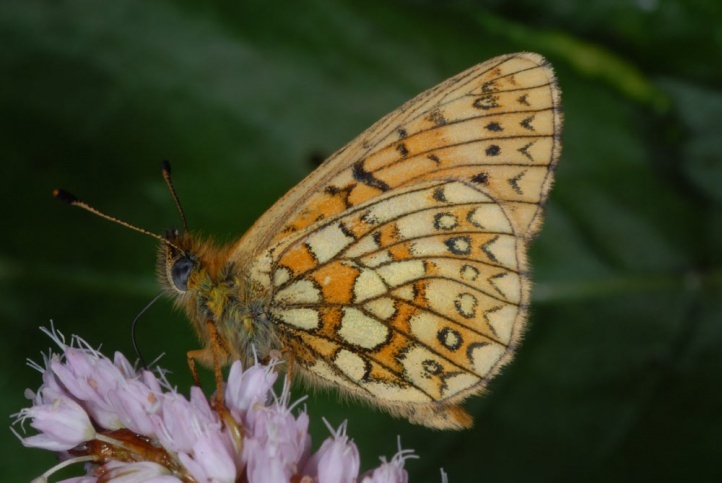 Due to habitat loss, Boloria eunomia is severly endangered. 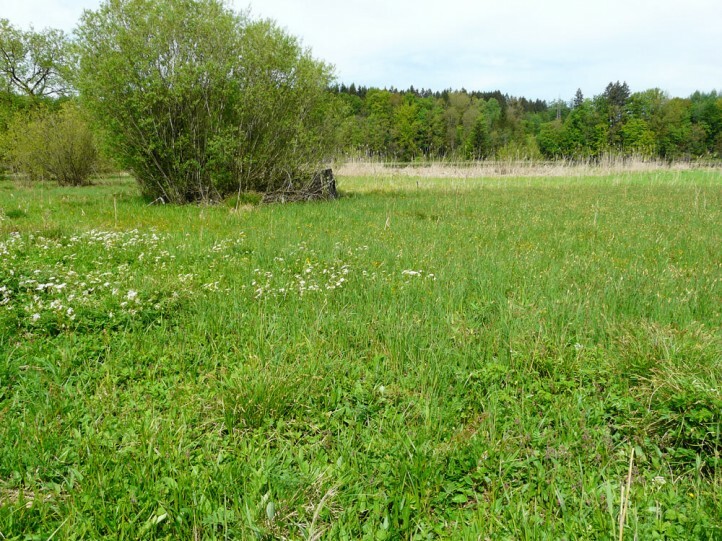 Small habitats get easily eutrophic, pass into unsuitable successional stages, will be overgrown with neophytes (Solidago sp., Impatiens) or are integrated in bordering more useful areas (forestry, manure meadows, overbuilding). 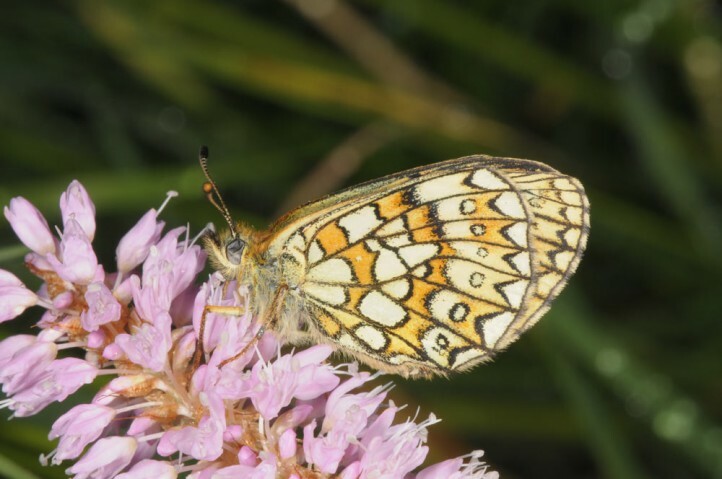 In order to preserve Boloria eunomia which slightly prefers fallow stages, it can be recommended to cut the area once in early autumn after about mid-September with removal of cuttings (mowing not too deeply down!). 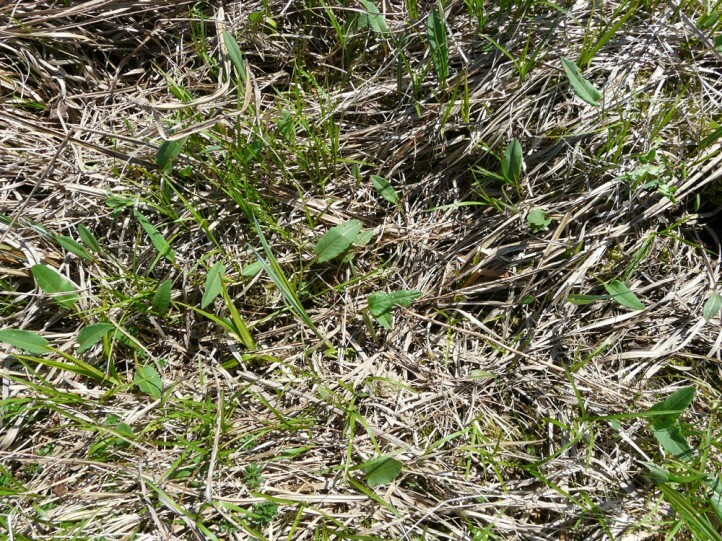 This mowing should spare some changing parts and is not necessary every year at least in more nutrient-poor sites. 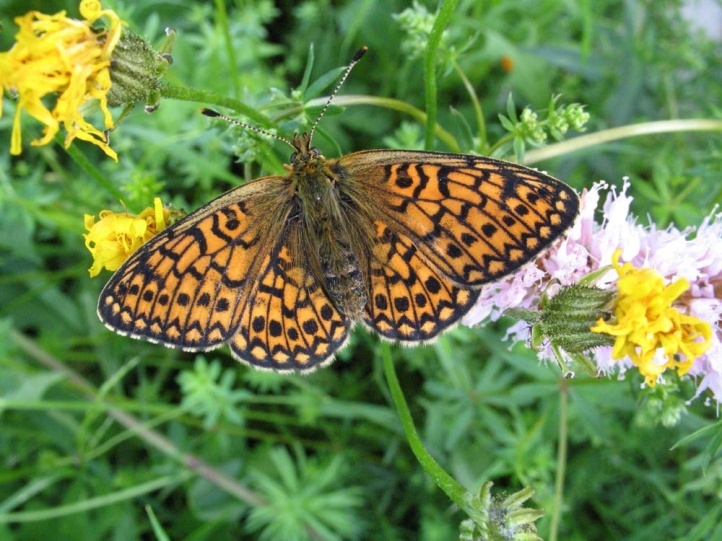 The distribution is Holarctic (N-America, Asia, Europe). 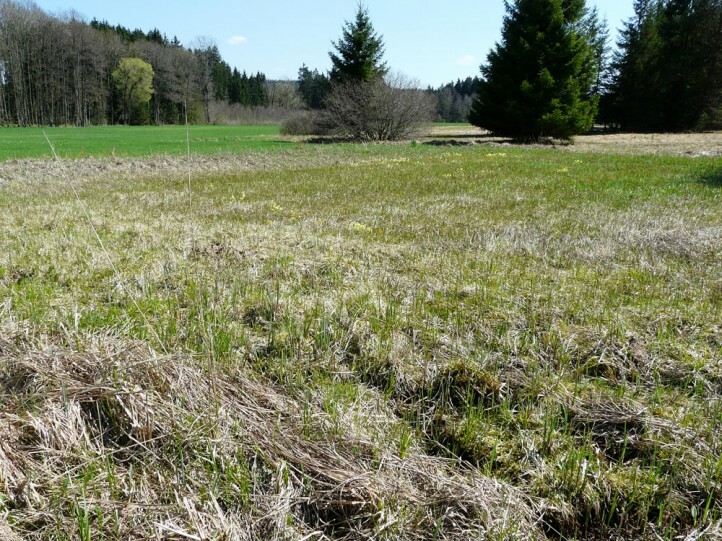 In Europe, the occurrance is very localized and disjoint. 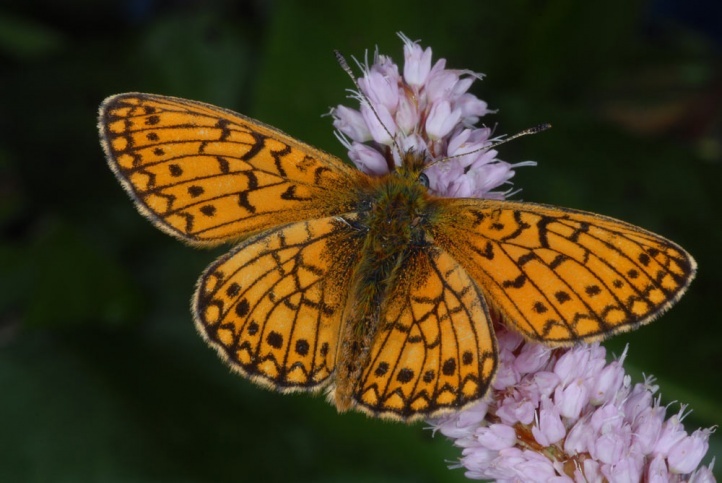 A somewhat denser distribution is only observed in the northern foreland of the Alps (Boloria eunomia is missing in the Alps themselves), in Scandinavia and from Poland to the northeast.